Due to time constraints my reviews will now only contain my thoughts about the book, a picture of the book cover, the title, the author of the book, and also a link to amazon where you can purchase the book. So, I haven’t written here for months and I’m sorry for that. I don’t want to get too much into the reasons why this happen but my life was kind of a mess and I just didn’t have the time to write. I hope that in the next few day I’ll have some new material to post. To all of you that celebrate Christmas I wish you a wonderful one, and to the ones that don’t I wish you a specially wonderful day! I hope you all have a great time with your love ones. This was the post that I should have done in the 25th of the past October, but due to several problems I had in the last months I didn’t managed to make it. Luckily all of those are now resolved and so I can start to pay a lot more attention to the blog. I must say I was a little disappointed with Frankenstein since I expected it to be a lot more creepy and scary than it really is. I mean the book is somewhat creepy but not in the supernatural way. I felt that Frankenstein was more a study about human nature and about how far it can be altered and the consequences of that. I identified myself a lot with young Viktor Frankenstein: he was dedicated to his family, very curious, hard-working and a bit shy. But while completing is project he becomes very introvert, neglects his family, friends, and basically all the outside life. After completing the creature his character is changed again when he realizes the monster that he created, and this time he becomes very ill and depressed. And this is the mood that spreads for the whole book. I think that the message that Shelly was trying to pass with this book is how much we can change by discovering some of the hidden secrets in Nature and by going to far away.And that some things should remain a secret. I don’t exactly agree with this perspective though. I think human beings are given the gift of intelligence and that they should use it to uncover the secrets hidden by Nature. Maybe it’s the time where I live, and certainly my education that gave me this view as it probably were these same factors that influenced Mary Shelly’s opinion. Though I didn’t exactly agreed with the message of the book I have to admit that Shelly did a great job imagining how someone passed from the “tabula rasa” state to become such an evil creature. I also admired the changes that Victor suffered though I do not think he did something so horrible, he just tried to uncover one of the secrets of the Universe. Basically this book was not what I expected and that’s way I have a rather apathetic opinion of it. Every Secret Thing tells a mystery that spans through time and place. Kate Murray the major character is your cliché beautiful journalist, with somewhat troubled past that starts to investigate a story about a murder that happened years ago, but it was never resolved. When I started to read Everything Secret Thing I was prepared for a few clichés that characterized this genre such as the beautiful young journalist (see above), the handsome guy,… I usually don’t have many problems with these clichés since I consider this kind of books my comfort reads, but luckily Cole managed to use them without making the book totally predictable. Sure I guessed the killer before it was revealed but I only did that almost in the end. What dragged me most to this book was that part of it that’s set in Portugal both in the present time and in the WWII era, when Lisbon was full of spies, creating a great environment. Obviously I also enjoyed the other settings, New York and London, but they are kind of frequent in mysteries. Emma Cole did a great job with the characters, making all their voices seem real to me. The only problem I had with characterization was that Kate seemed a Mary Sue sometimes. Cole’s writing is good and I liked the way she managed to capture the essence of the places she described. Sorry for the blog silence but I’ve been really busy. 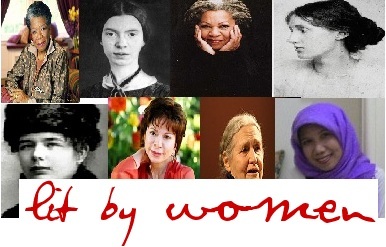 This is it, I’ve reached the end of September have only reading books written by women writers. In case you don’t remember why I did this you can revisit my introductory post here. I underestimated the amount of things that I had to do this past month, and the complexity of the works I had chosen so I couldn’t read all the things that I listed on the first post, but I’m determined to read them all until the end of the year. 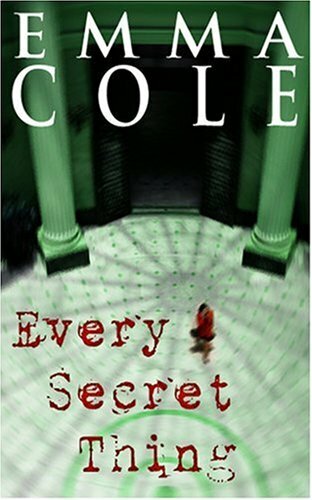 Right know I’m finishing “Every Secret Thing” by Emma Cole, a mystery that spans through time and place, I’ll post more on that later, when I finished it. This October I decided to take part on the Classic’s Circuit Gothic Tour and so the next book that I’ll read will be Frankenstein by Mary Shelly, and then I’ll read Coraline and the Secret Door by Neil Gaiman. I hope you all have a nice month. Since I started blogging I noticed that I started to read fewer works by portuguese authors and I wanted to fix it, but without hurting the blog, because as most of the books written by portuguese authors aren’t translated there was no point of reviewing them, and as I’m not the fastest reader, I was afraid that the blog wouldn’t have content for a long time. Finally I worked that out (especially because the blog is supposed to enlarge my reading horizons and not shrink them), but I couldn’t be more delighted to find (thanks Kinna for sharing!) this short story by a portuguese writer translated to English, because that way I could blog about it, and share with you a bit of portuguese literature. Let me confess to you that before reading Kinna’s post I had never heard about Teolinda Gersão, and that was what made me curious to go and have a look at the short story. The Woman Who Stole the Rain tells the story of business man who during his business trip to Lisbon, in the midst of his luxurious suite of a 5 stars hotel, manages to “travel” to a poor village in Africa through eavesdropping the conversation between to housekeepers. What I liked more about this short story was not the plot itself, but the feeling that it gives to you. In a moment you are in a fancy hotel room, in the other you are in an African village devastated by drought. Since the beginning of this second narrative you get the feeling that this story is going to end up badly, and well it does. This short story, in a few pages, manages to capture the differences between our privilege world and the hard life many people live in Africa and other places. It strikes you, really, as it striked the narrator. You can really sense the cultures clash. Teolinda Grasão’s writing style is fluid, linear and straight forward, there aren’t any flourishes, which goes really well with the story and the message that she is trying to pass. This topic is the easy one for me, because since I started to blog I changed quite a lot my reading habits. For starters I read more, and try to find more time to read (that means less TV, which is great, especially for my mental health), secondly, lately I’ve been paying more attention to my ratio between POC writers and white writers. Before started blogging I hadn’t noticed that publishers neglected POC writers but thankfully the blogosphere opened my eyes, because I didn’t know what I was missing; right now I’m reading Beloved by Toni Morrison, and though the book is complex I’m loving it, and the story is getting me really involved. Another thing that changed is the size of my TBR/whish-list/you name it. Visiting other blogs, that focus in so many different genres allows me to get to know several other books that I wouldn’t otherwise heard about. Some of these books are old, some of them are really new, which make an amazing reading diet.